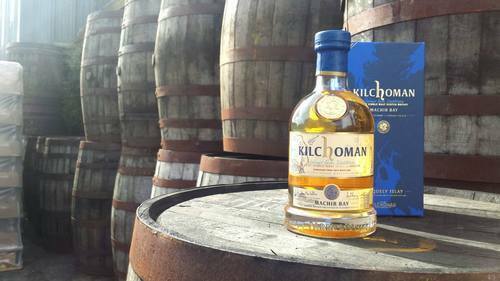 Kilchoman sends out his sons during September. George and James Wills are giving a number of masterclass through Europe. While I'm writing this, the brothers are touring The Netherlands in their Land Rover loaded with whisky, funny anecdotes and inside information on the family business and their whiskies. The masterclass at TastToe sold out completely. 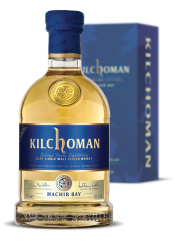 36 people were eager to discover the core range of Kilchoman (minus the Loch Gorm, which wasn't served that night). Every stage of the production process of this lightly peated whisky is done on site. Growing the optical barley, malting, kilning, distilling, maturation and bottling happens on the farm distillery. 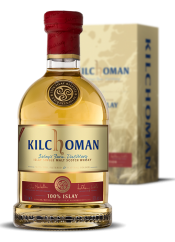 100% is a true 100% Kilchoman. This is the cornerstone of the Kilchoman Range. It is named after the beautiful but desolate beach near the distillery. The 2014 batch contains 5 and 6-year-old whisky. 90% of the vatting matured in ex-bourbon casks from Buffalo Trace. The remaining 10% comes from Oloroso sherry butts. 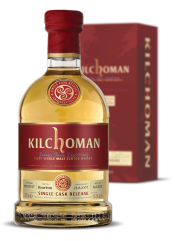 To upgrade the European Tour a bit, Kilchoman decided to provide the Wills brothers with a special Tour Bottling. Essentially this is a Machir Bay but bottled at cask strength, 59.2%, and slightly darker than the regular Machir Bay at 46% ABV. The expression has been limited to 1518 bottles. Port Cask Matured is being shipped, as we speak, to specialist retailers. This limited edition matured (not a mere finishing, but a full maturation) in 20 ruby port pipes. It has been bottled at 55% ABV. From the 1000 cases produced, only 150 bottles will end up in Belgium. This sample will probably be released as a single cask for the Belgian importer The Nectar to celebrate the Spirits in the Sky festival 2014. The whisky was distilled in 2009 and got a 4.5 months finishing in a PX sherry cask. 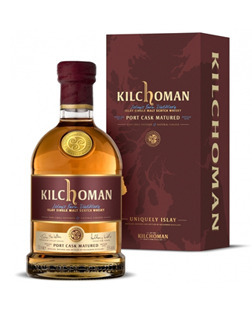 Kilchoman and Oloroso / PX sherry = fantastic stuff. This sample was the definite winner of the evening. So what do you think of the European Tour? Or should I get the standard Machir Bay instead? If you are still able to get a bottle of the European Tour, i'd say try that one ! (I think I paid €53 for it, was not a huge difference with the regular one). Planning to put them side by side within a few weeks. Kept a sample of the regular Machir Bay.